You are here: Home / Food! / Say cheese (cake)! 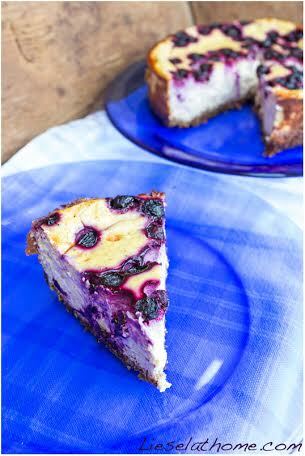 There are so many fantastic recipes for amazing cheesecakes, and surprisingly enough most of them are really easy to make. Also, because of its dense creamy texture it is almost impossible to fail. And personally I think cracks in the cheesy top part are just adorable. The bottom is mostly a version of crumbled cookies (like hobnobs or similar) mixed with butter, which for us grain free people is a no go. No worries though, this part is easily made gluten free by mixing ground flax seeds (also called lin seeds) with dried fruit, like apricots, dates or raisins, and then adding coconut oil or other fat. Grind the above together until crumbly and then add 1 tbsp. coconut oil (or other fat) and a pinch of salt. 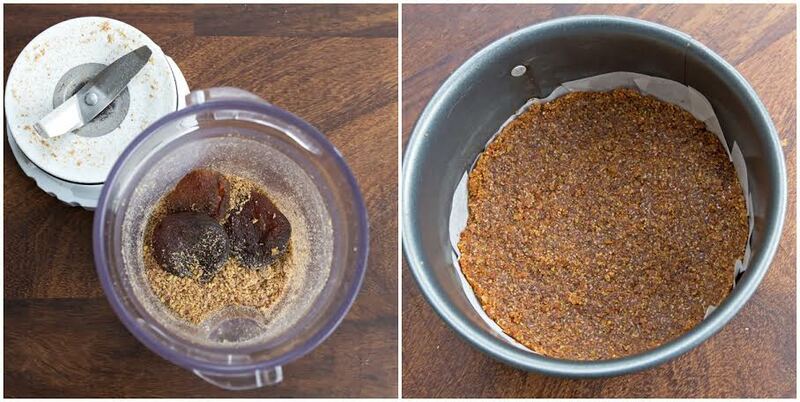 Mix and press onto the bottom of a cake form – spring form works best for cheesecake. If your form is large, you might want to double the above amounts. The cheesy part of the cake is traditionally based on fresh crème cheese (like Philadelphia cheese) mixed with quark (called kesella/kesam in Scandinavia or fromage frais in French) and egg. Then you sweeten it with sugar or honey and typically add either vanilla or lemon zest. 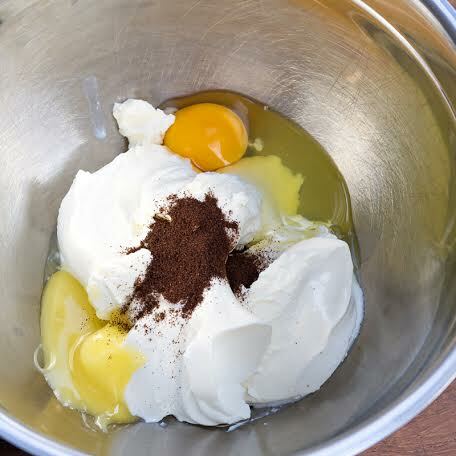 Mix and pour into the cake form. Again for a bigger form you might want to double the amounts. To make the cheesecake creamier, you can add melted white chocolate to the cheese mix – but then hold back on any extra sugar since the chocolate is sweet in itself. 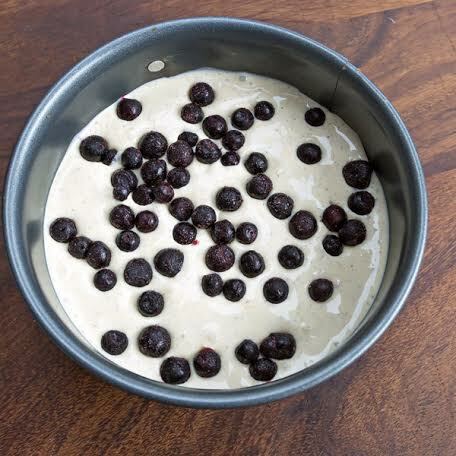 And as a beauty trick you might want to sprinkle the cake with blueberries before baking. In Germany you can sometimes get chocolate cheesecake – which sounds weird, but actually tastes really nice. Just add 2 tbsp. cacao powder to the cheese mix before filling the form. I added a sliced banana inbetween the two layers and it was fabulous! 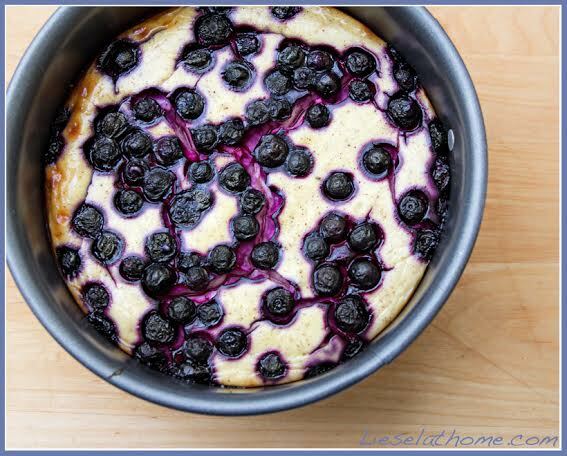 Bake your cheesecake in the lower part of the oven at 160-180 C (320–360 F) depending on how high the cake is (higher cake = lower temperature) for 35-45 minutes – again depending on the size of the cake. Use a toothpick to test in the middle of the cake. If it comes out dry the cake is ready. If you want to avoid the cracks in the cake, you can put in a (oven-proof) bowl with water in the oven while baking. The extra moistness is supposed to help.